This 09+ (Zero Nine Plus) mobile app is a tool intended to be used by mobile network subscribers and load retailers in the Philippines. By just typing the 4-digit prefix (0917, 0918, 0922, etc.) of cellphone/mobile numbers, user can determine what network (Globe, Smart, Sun, etc.) the prefix is assigned to. So, I decided to create the logo of this app by just emphasizing the “09” with a plus sign because mobile numbers in the Philippines start with “09”. And I’ve chosen the red color so that the app logo can easily attract users at Google Play Store. 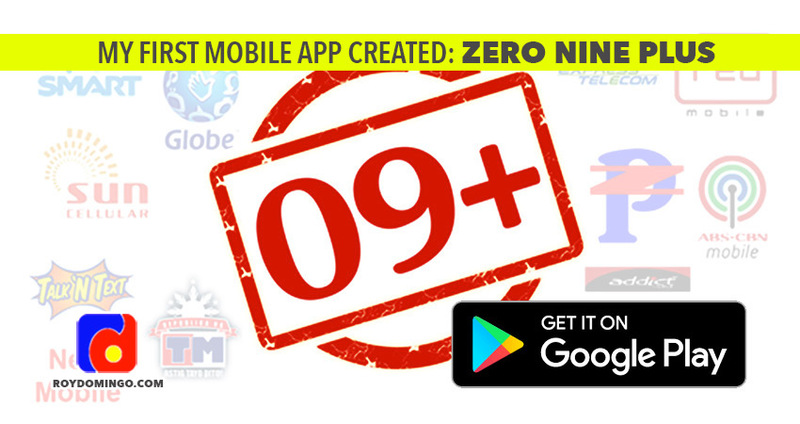 09+ (Zero Nine Plus) Mobile App was launched yesterday, March 9, 2014, at Google Play Store and is absolutely FREE to download and install.